Happy Wednesday! Are you counting down to the weekend too? We leave for vacation in 2.5 days! I cannot wait. And bonus? The Nordstrom Half Yearly Sale started today! Yay! How perfect is this dress for summer weddings? It comes in a variety of colors so would also be a good option for a bridal shower or other function. And it's under $55! I have this dress in black and I am SOOO tempted to snag it in the floral. Available in 12 colors, it is under $30!!! 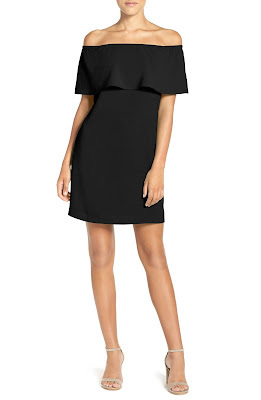 I love this dress for date night out. Add some fun earrings and a bracelet and you are good to go! How perfect would this be with skinny jeans and wedges? Or as a coverup over a swimsuit? 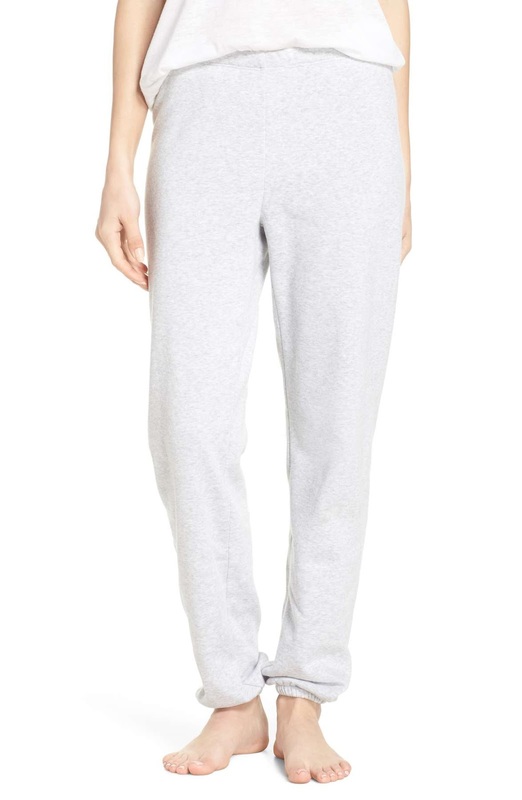 These are so comfy! Perfect for lazy Sundays or cooler nights hanging outside with a glass of wine, enjoying the summer night. 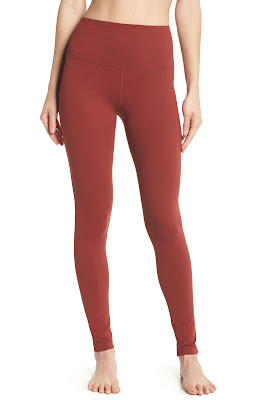 You all have heard me RAVE about how awesome Zella leggings are. They are legit good. These sales are a great time to try them out. I love the high waisted ones and this rust color is so pretty. Shop all Zella in the sale here. 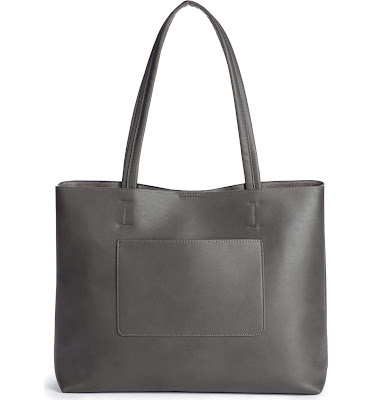 Under $50, this Sole Society tote is a great option. 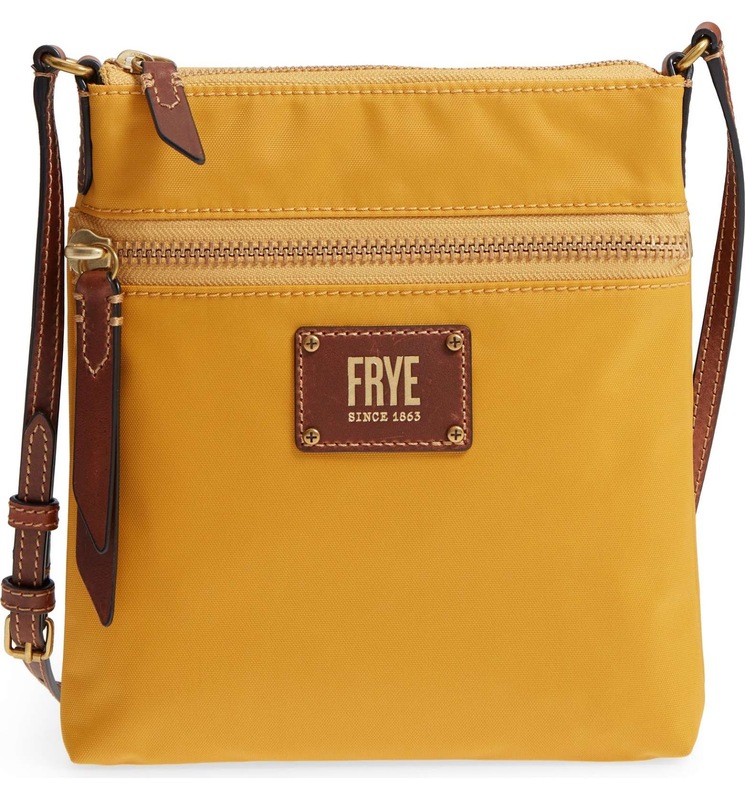 The front pocket is perfect for phone and keys and a roomy interior fits everything else. This would be a great bag for travel. It's such a cheery color and it's nylon, which means it will clean up easily. I would love this for my upcoming trip to have to carry around Disney or Universal. I'm going with this instead. How about a cute pair of sandals? 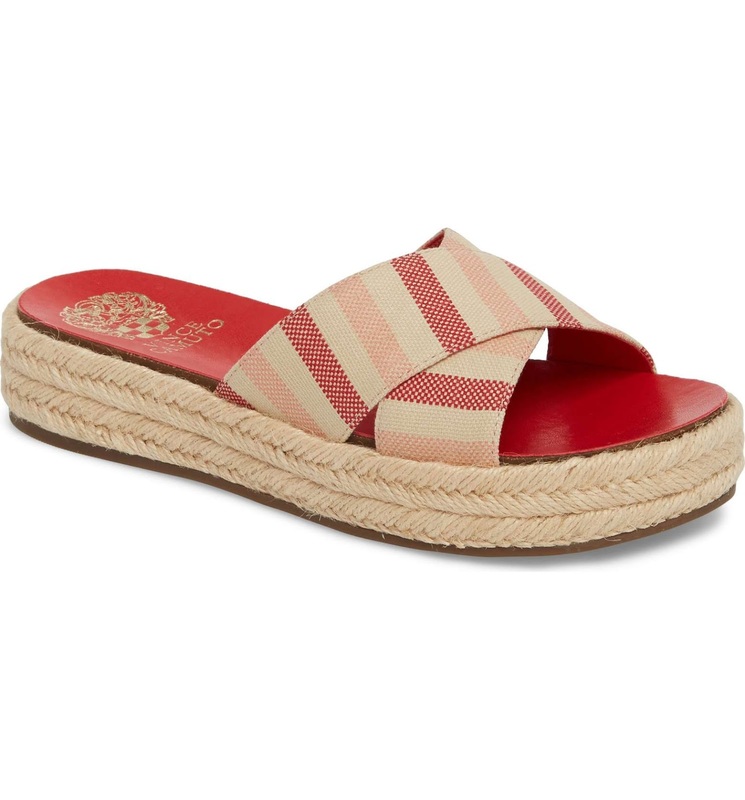 I love the red and pink stripes for summer! How cute would these be with white jeans and a tank top with fun earrings? 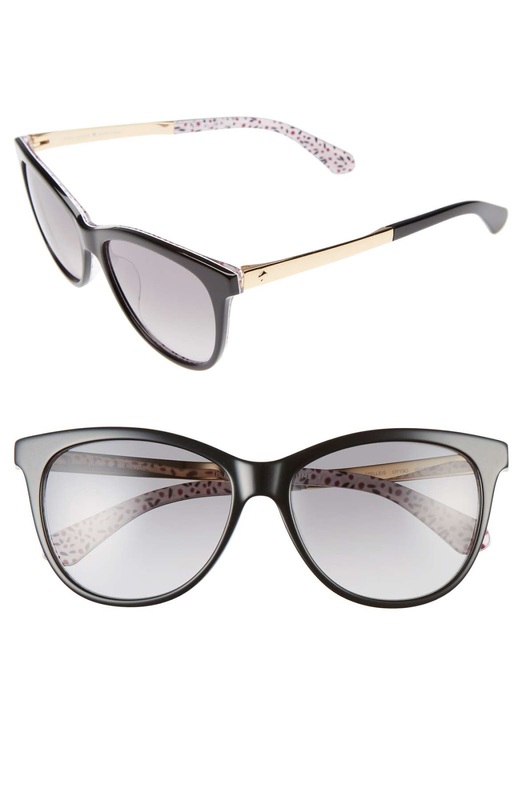 It is the PERFECT time to pick up a pair of sunglasses. That summer sun is hot on our heels and these Kate Spade sunnies are so pretty. What are you loving from the sale?